Mixed suspension of magnesium salts and carbonate-boric buffer. Shake well 10 - 15 sec. before use! Dose into water flow, ideally to the system service tank. It is necessary to avoid the settling of solid particles on corals? and other invertebrates? body surface! Always use CS TEST Magnesium for accurate dosing! Irritating to eyes. May cause irritation to sensitive skin. Not intended for common dosing pumps! 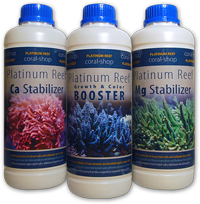 Brand-new innovative Platinum Reef Conception emphasises the economy and user-friendliness above all. It is an ideal concept for - but not only for - the reefkeeping newcomers. Supplementing of all important inorganic elements and organic compounds in the tanks populated on an average is realized with 3 products only with no need of calcium reactor. Considering the price of calcium supplements, the non-Ca-reactor option seems to be more user-friendly and economical. 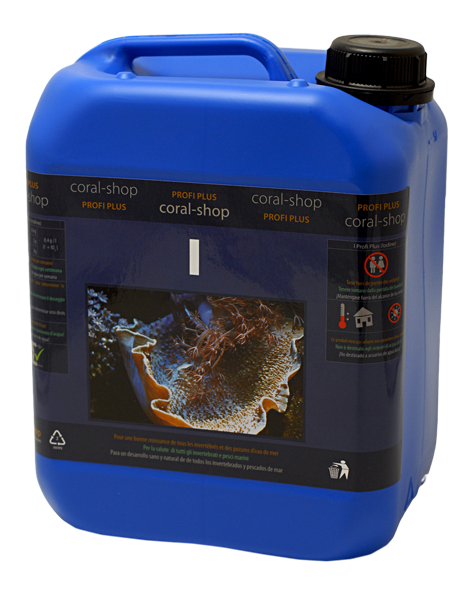 Heavily populated tanks with corals and other invertebrates will demand additional use of some minor and trace elements with corresponding preparations of Profi Plus Concept (Sr, B, K, I, etc.). 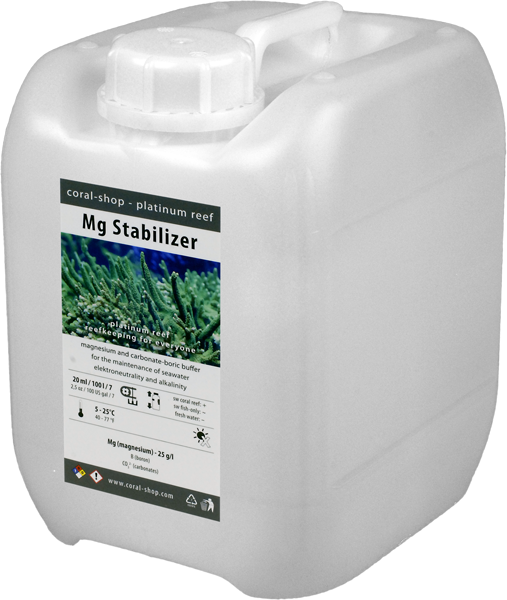 It is necessary to avoid the settling of solid particles on corals and other invertebrates body surface by dosing into water flow, ideally to the sump. Standard tanks of all sizes where the economy and user-friendliness are the key factors.